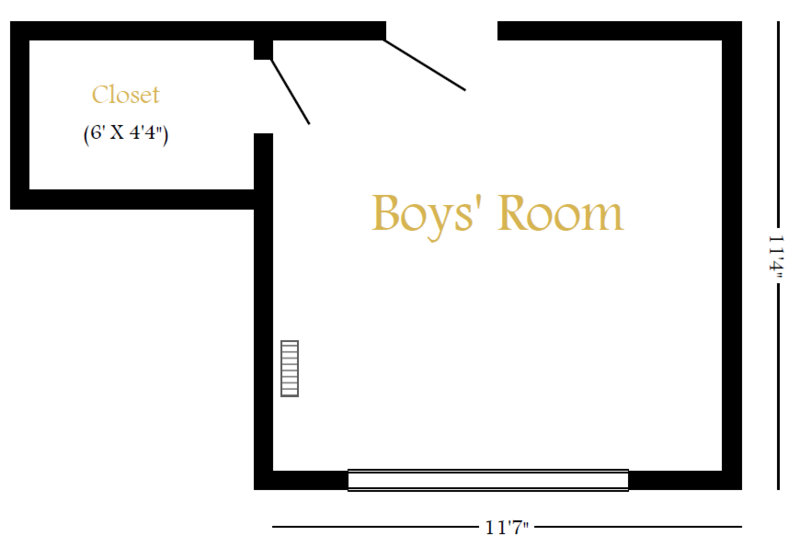 I wish we would have taken pictures of the boys room before we did anything to it, but….we failed. Oh well, here are a few photos of what it looks like now, which will eventually become the “before” photos, so it all works out. First thing we did was peal off a sports-themed border around the middle of the room, below the border the wall was painted navy blue and above it, white. Then, since we already had some dark gray paint, we lightened it with some white paint to get this pale gray color. I found the navy blue curtains at Walmart for under $12 for two panels…all together they cost less than $40. Below are a few of my Houzz Ideabooks that I use to organize photos that inspire me in renovating this room. 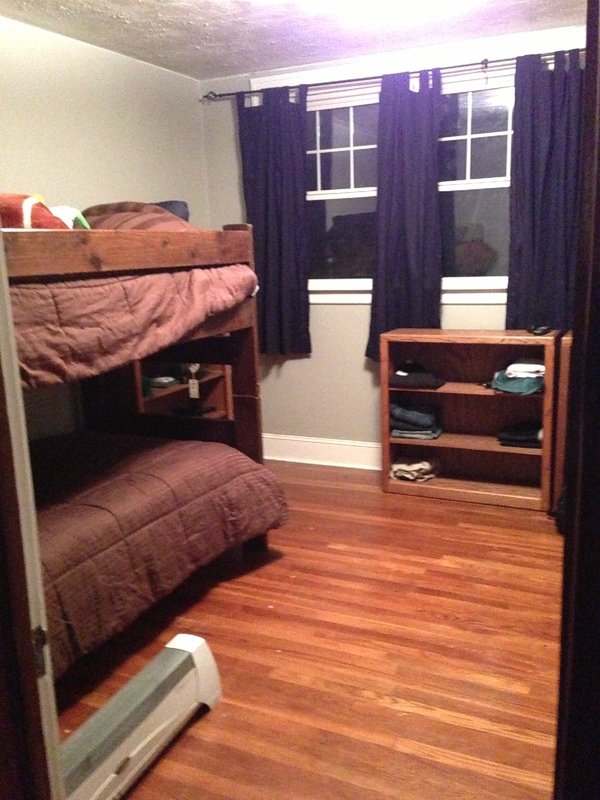 For more photos like these, check out my Pinterest “Boys Room” Board here.